Decorating on a tight budget is no easy feat. Needless to say, we are always on the lookout for makeovers that manage to create an impact with less. 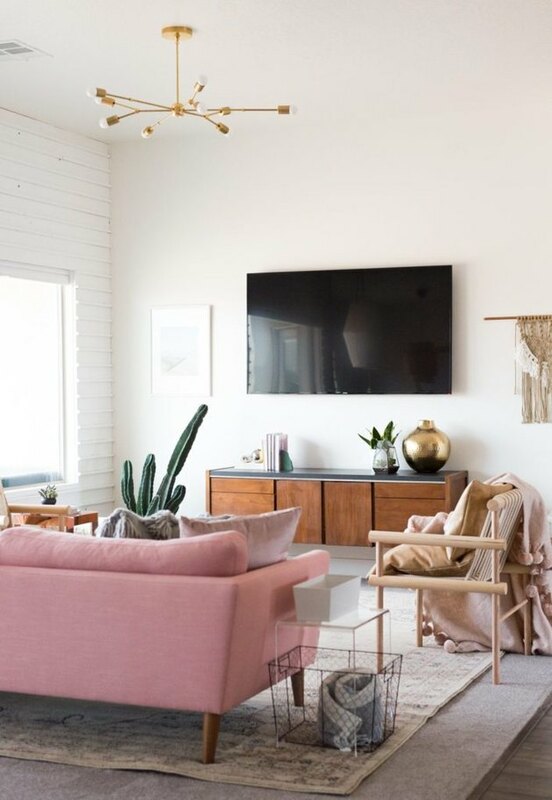 So, it's no surprise that these budget transformations which cost under $300 (yes, you read that correctly) caught our eyes. 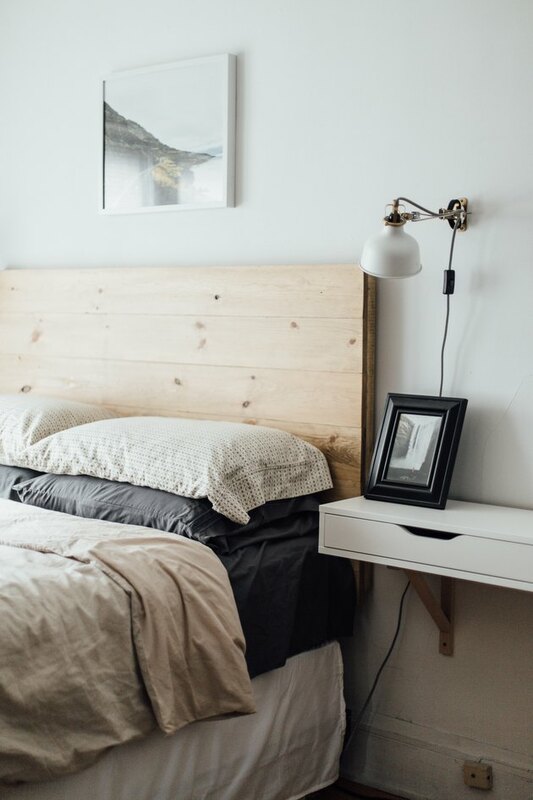 Follow their lead and these 8 design savvy tips that we gleaned from their hard work to give your home a new lease on life without breaking the bank. 1. Repaint or refinish existing cabinetry. 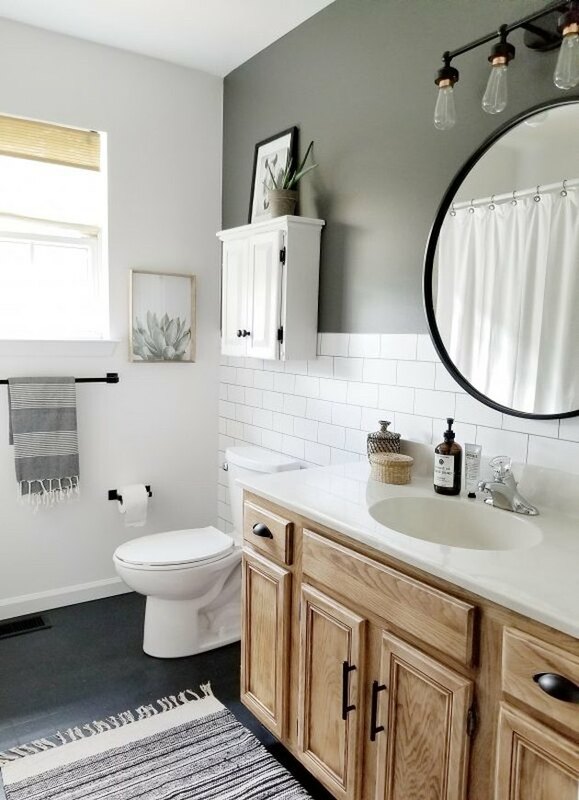 Adding a fresh coat of paint or refinishing existing cabinets can make all the difference, as proven in this bathroom makeover by Cynthia Harper Living. With a little sanding, some clear matte sealant, and a little elbow grease, she completely changed the look of her previously orange-ish builder grade vanity cabinet. Reworking what you already have is an ideal way to stick to a budget with minimal upheaval. 2. Choose dual-purpose furniture options. Organization is key, especially when it comes to small spaces. So, when it came time for Kitty Cotten to design her sister's bedroom, she immediately addressed the issue. A dual-purpose vanity with drawers created a much-needed primping station with storage, while wall sconces on either side of the bed freed up space on the bedside table for nighttime essentials instead. 3. Make a statement with your walls. 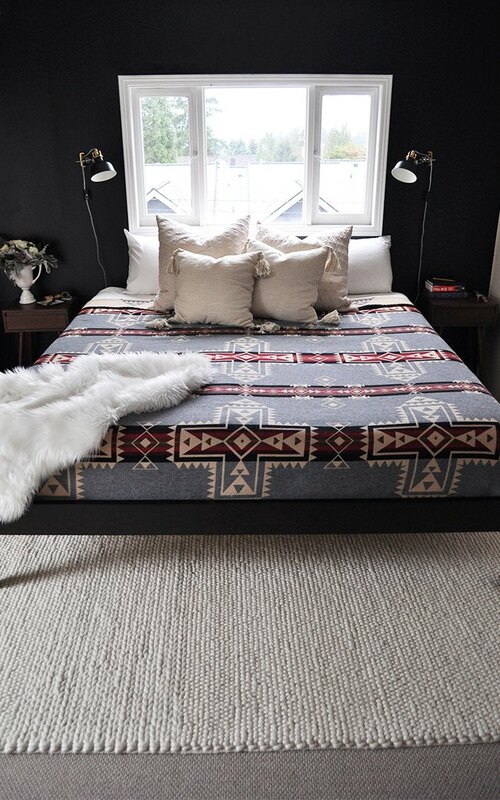 We can't believe this handsome bedroom was created for less than $300. However, Tijana from Budget But Beautiful managed to make it happen with a dramatic shade of paint and some carefully selected accessories. The bold black accent wall is definitely our favorite part of this transformation. Valentina from Flying House by Traveling Mama used a few choice pieces of decor to revamp her home office. 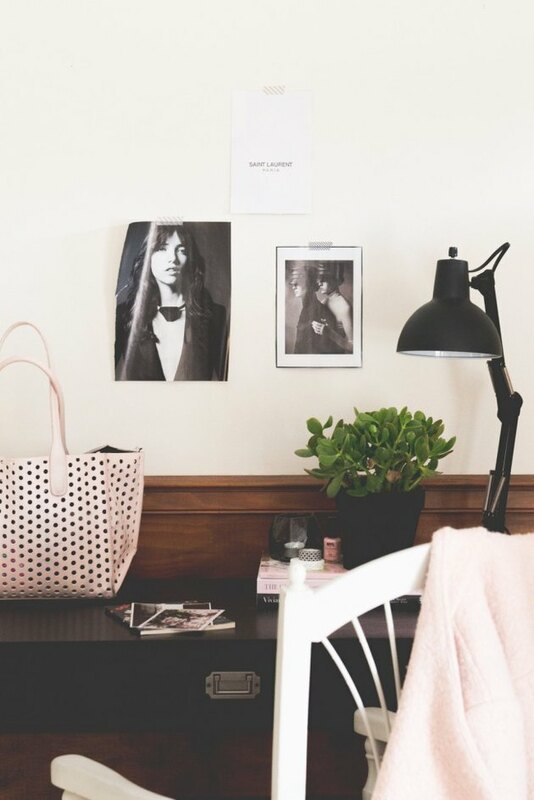 After purchasing the desk and the lamp, she got to work accessorizing — even her too-cool-for-school handbag adds to the chic setup. The result is a stylish yet budget-friendly workspace with money to spare for the rest of the house. Win-win. 5. Re-organize for an instant room update. Don't underestimate the Marie Kondo method. De-cluttering and furniture arrangement can change the entire look and feel of a room. 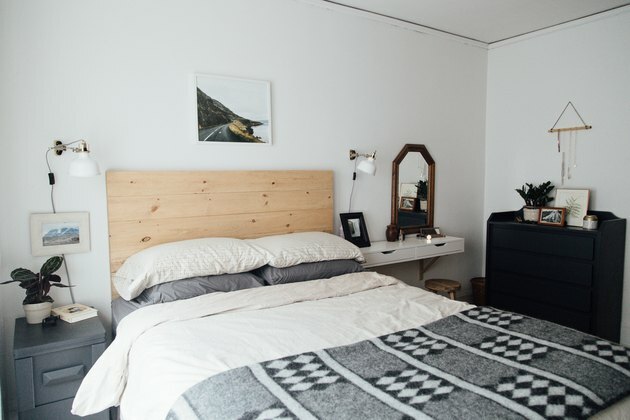 Tim of Bay on a Budget gave this bedroom a fresh coat of paint and repurposed the furniture so that the vanity unit served as both a dressing table and a nightstand. 6. Shop your own house. Who says you need to buy anything to revamp a room? Shopping in your own house is a wonderful way to spice things up and decorate on a budget. 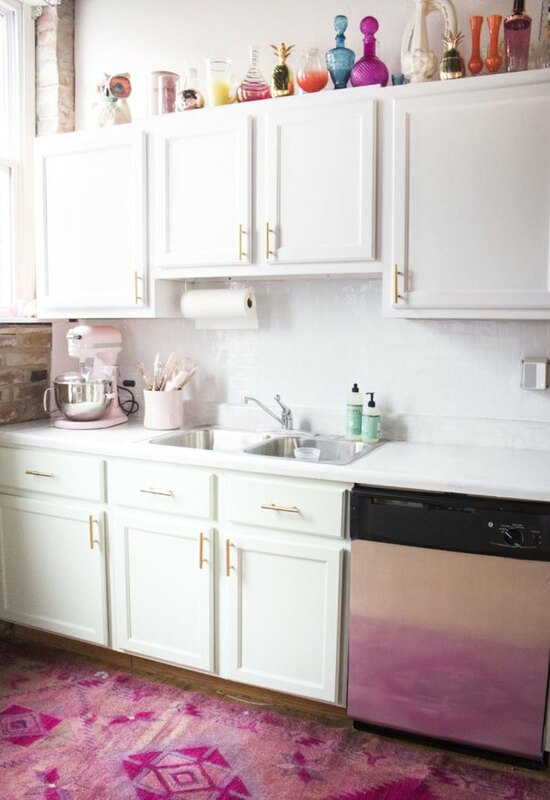 Abbey from Daily Disco went on a hunt around her house for accessories she could bring into her bright kitchen. Talk about a budget-friendly refresh. 7. Get inventive with your existing furniture. 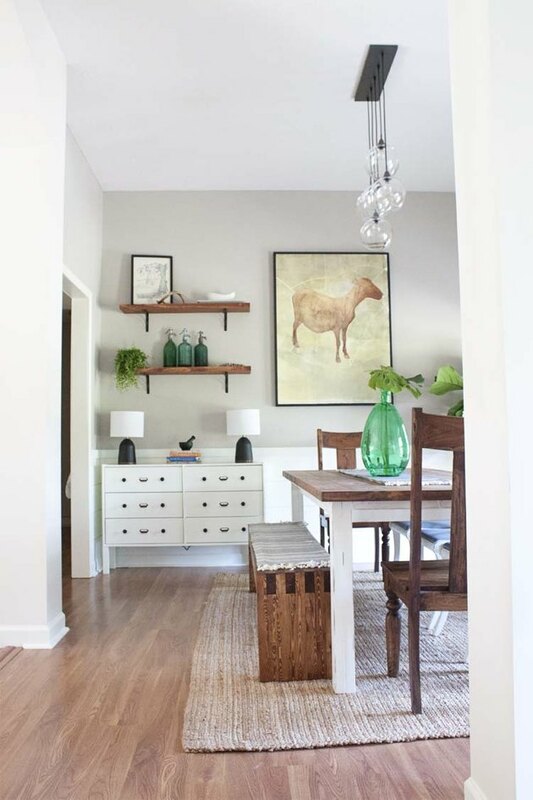 Jamie from Southern Revivals revamped her farmhouse dining room with $300 and some creative thinking. She refinished her existing dining table to give it a new life and she turned two IKEA dressers, that she had around the house but wasn't really using, into a buffet for a little extra dining room storage. 8. Good things come to those who wait. While we aren't exactly sure just how much this living room makeover cost, we can tell you that Mandi from Vintage Revivals really worked hard to keep the price tag low. Thanks to her savvy thrifting skills, she found this beautiful vintage wood credenza for only $50! And those chairs ... can you believe they are the result of a clever DIY project? It just goes to show that with a little time and effort, you can save your hard-earned cash and still create a dream-worthy space.